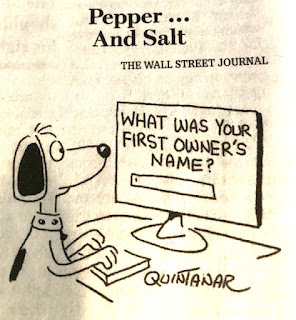 Too often in today’s instantly connected culture our feelings, and any opportunity for contemplative decisionmaking, are obscured by the constant noise of social media. A well-crafted historical novel isn’t just an oasis where such distracting influences are banished, it can become a refreshing trek of self discovery. Connecting with those whose blood flows in our veins isn’t simply a pleasant distraction, it is empowering. This is our time to rise up out of the great sea of humanity, but knowing its depths and currents allows us to be more effective navigators in our own journey. Discovering that the past isn’t really past, it just has new faces, is the great reward of historical novels. By investing time in a well-crafted historical novel you might learn to find yourself, from before. An international lawyer by training, Joseph Eliot Pattison has spent his career advising and representing U.S. and foreign companies on international investment and trade issues. Described as "a writer of faraway mysteries," Eliot Pattison's travel and interests span a million miles of global trekking, visiting every continent but Antarctica. 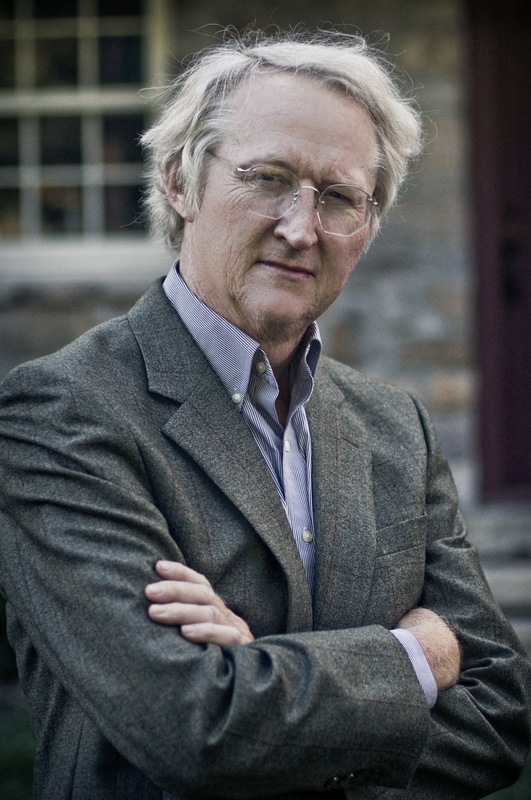 He received “the Art of Freedom” award along with Ira Glass, Patti Smith and Richard Gere for bringing his social and cultural concerns to his fiction, published on three continents. 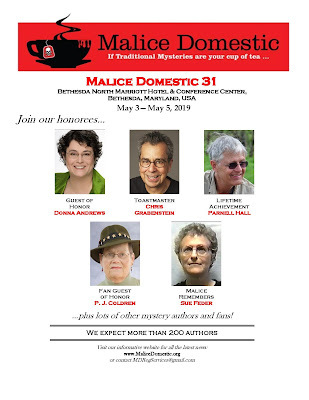 He is the author of fourteen mystery novels, including the internationally acclaimed Edgar award-winning Inspector Shan Series, set in China and Tibet and the Bone Rattler Series, set in Colonial America. 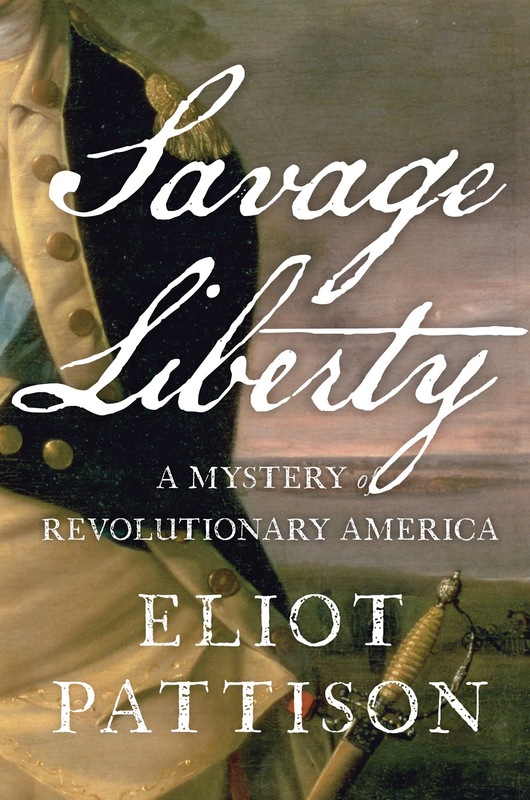 Savage Liberty: A Mystery of Revolutionary America is the fifth in this series. A former resident of Boston and Washington, Pattison resides on an 18th century farm in Pennsylvania with his wife, three children, and an ever-expanding menagerie of animals. Be sure and check out Eliot Pattison's former posts on Mystery Fanfare. Thanks, Eliot, for contributing! MASTERPIECE PBS and ITV have announced that Tom Brittney is joining the cast as Reverend Will Davenport – man of the people and crime-solving partner to Robson Green’s Geordie Keating. James Norton, who plays Vicar Sidney Chambers in the series, will make his final appearance during the fourth season. Tom Brittney said: "I am beyond excited. From the moment I heard about the role of Will Davenport, it was something I wanted more than anything. It’s a real honor to be joining such a wonderful series, with such a loyal fan base." James Norton said: "As excited as I am to be filming a new series of Grantchester, it’s also heartbreaking to be saying goodbye to Sidney Chambers. I’ve loved this experience, and particularly working with such an extraordinary cast and crew. All the best to the fantastic Tom Brittney in his role as the new vicar. He is a wonderful addition to the Grantchester family." A man of the people—confident, caring and self-assured—Grantchester’s young new parish priest channels his boundless energy into a quest for social justice. He is a man of God, but with the devil inside of him. As Geordie draws him into righting the wrongs of criminal Cambridge, Will’s own troubled past is unearthed. 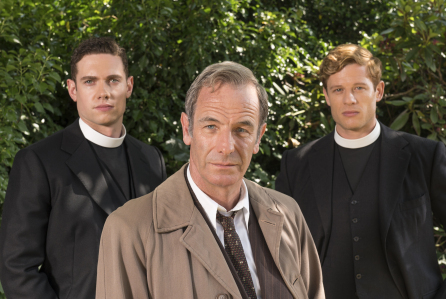 In an interview with the award-winning MASTERPIECE Studio podcast, Grantchester creator/writer Daisy Coulam previews the upcoming fourth season of the show. You can hear the conversation here: http://bit.ly/GrantchesterPodcast. Sadly, this season will not air until 2019. End of an era. 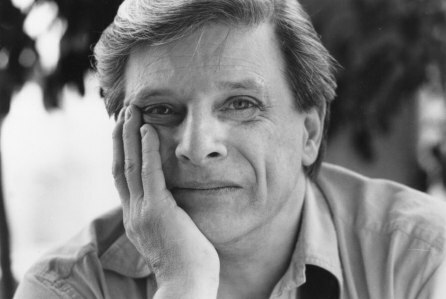 Harlan Ellison, an amazingly prolific and talented writer of science fiction, mystery, articles, TV series and movies, passed away in his sleep last night at the age of 84. Ellison contributed to The Outer Limits, Star Trek, and Babylon 5, among others. 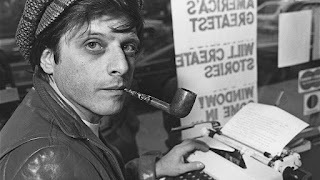 If you knew Harlan, you knew he was impetuous, provocative, passionate, often angry, litigious, and cantankerous, but what an incredible talent! Ellison also wrote scripts for Route 66, Burke's Law, Voyage to the Bottom of the Sea, The Man from Uncle, The Twilight Zone, and The Flying Nun, as well as The Alfred Hitchcock Hour. In terms of movies, he wrote The Oscar and A Boy and His Dog (1975), based on his 1969 short story. His 1965 short story Repent, Harlequin! Said the Ticktockman which celebrates civil disobedience against a repressive establishment is his most reprinted story. So timely, especially now. 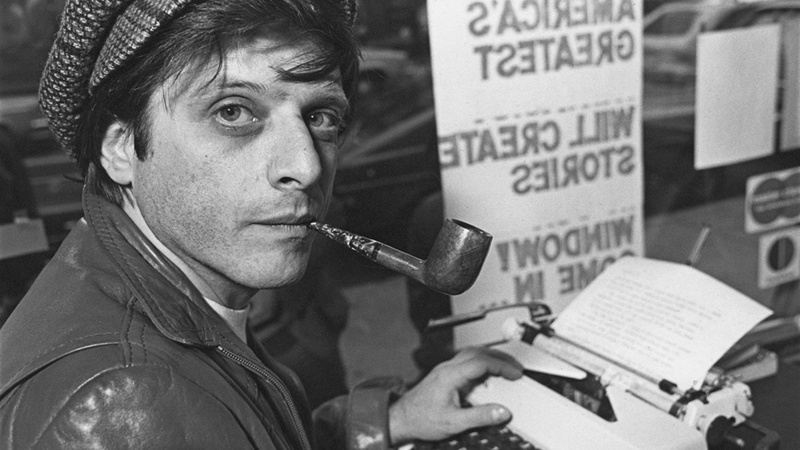 Harlan received multiple Hugos, Nebulas, and Edgars, as well as WG Awards for his TV Work and the Silver Pen for Journalism. When I heard of his passing this morning, I burst into tears, surprising myself. It's a long time since I've seen Harlan, but I will never forget him. Such a large personality in such a small body. Rest in Peace, Harlan. Maybe there's a typewriter in a store window in heaven....or in hell...or wherever you landed. Peace. Sad news. Sally Wright, Edgar award-nominated author, passed away in mid-June. 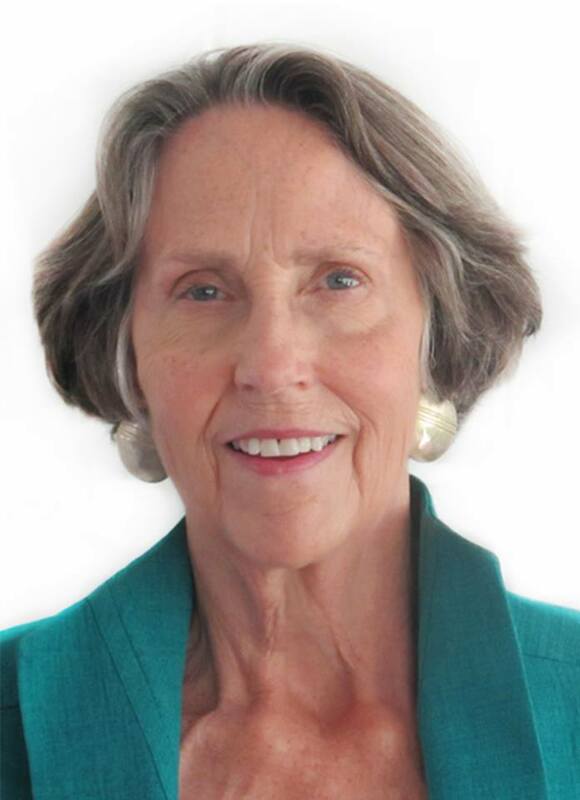 Sally Wright has studied rare books, falconry, early explorers, painting restoration, WWII Tech-Teams, the Venona Code, and much more, to write her university-archivist-ex-WWII-Ranger books about Ben Reese, who’s based on a real person. Breeding Ground, Wright’s most recent novel, is the first in her Jo Grant mystery series, which has to do with the horse industry in Lexington, Kentucky. I was lucky to meet Sally several times, and she came to Berkeley for a Literary Salon. So much fun and so informative. We corresponded over the years, and she contributed to the Mystery Readers Journal, as well as Mystery Fanfare. Labels: Ben Reese, Breeding Ground, Sally Wright, Sally Wright: R.I.P. Summertime, and the living is easy. Or is it? 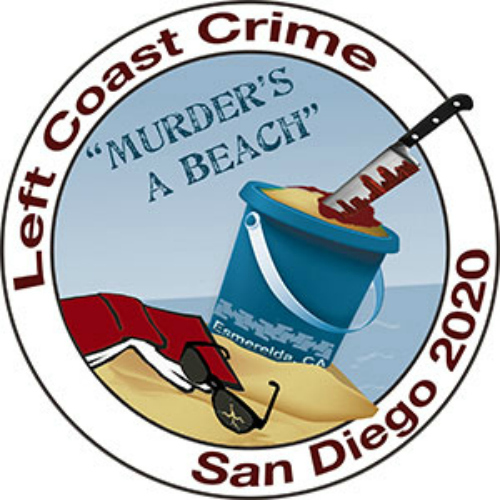 So many mysteries taking place during Summer are filled with murder and mayhem -- on the Beach, at the Lake, and in the City! 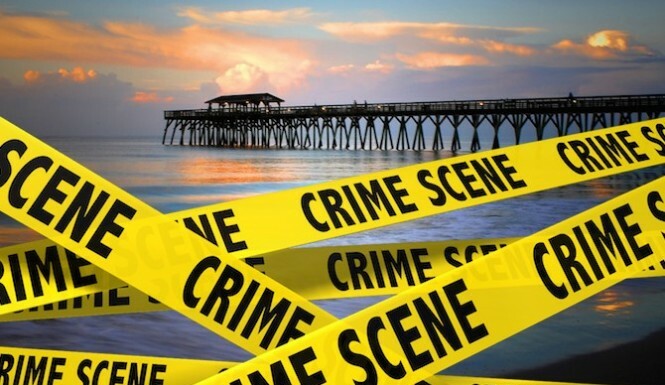 What follows is a list of Summer Crime Fiction that exudes the heat and accompanying crime of Summertime. I've omitted most Fourth of July and Labor Day Mysteries from this list, but I'll be updating those lists later this Summer. As always I invite you to add any titles I've missed. This is far from a definitive list, but it's been updated since last year. 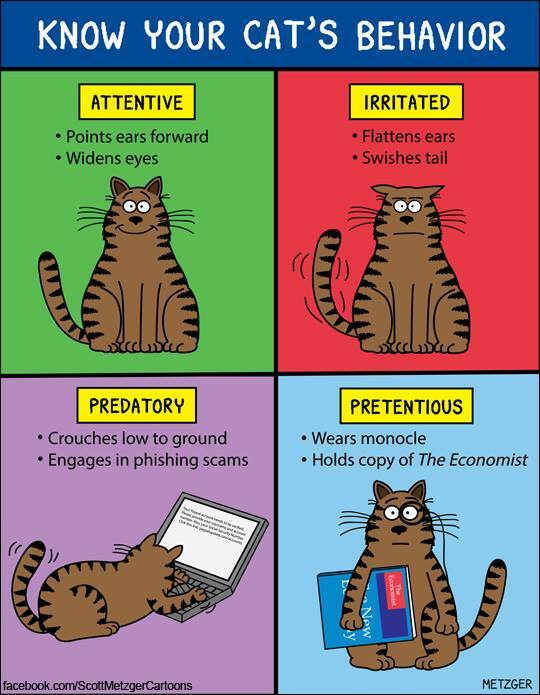 Any titles you'd like to add? Kate Carlisle is the NYT bestselling author of two ongoing series: the Bibliophile Mysteries featuring San Francisco bookbinder Brooklyn Wainwright, whose rare book restoration skills uncover old secrets, treachery and murder; and the Fixer-Upper Mysteries, featuring Shannon Hammer, a home contractor who discovers not only skeletons in her neighbors' closets, but murder victims, too. Hallmark Movies & Mysteries is bringing the Fixer-Upper Mysteries to TV in a series of movies starring Jewel and Colin Ferguson. A native Californian, Kate worked in television production for many years before turning to writing. In other words, the more challenging something is, the more worthwhile. And it's true that one of my favorite things about writing the Bibliophile Mysteries is also the hardest: echoing the themes of the rare book at the center of the mystery. While plotting the modern-day mysteries, I look for ways, both subtle and overt, to give a literary nod to the rare book in question—and to give my most astute readers the added pleasure of a sort of scavenger hunt within the mystery. 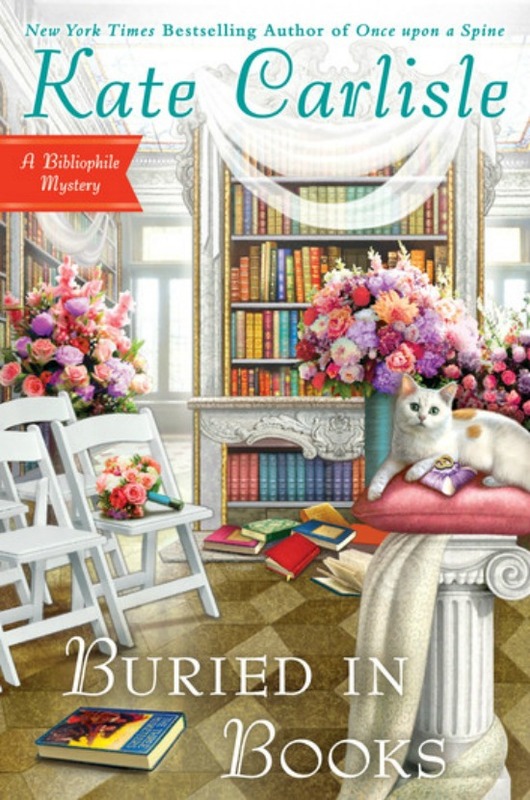 In Buried in Books, Bibliophile Mystery 12, a national library convention comes to San Francisco the week of bookbinder Brooklyn Wainwright's wedding to her partner in crime-solving, British security expert Derek Stone. Along with the convention come two of her best friends from library school. They called themselves the Three Musketeers. All for one, and one for all. . . until Sara stole Heather's boyfriend, and their friendship blew up. Heather and Sara both come to Brooklyn's surprise bridal shower with gifts in tow. A rare copy of The Three Musketeers from one, and of The Blue Fairy Book from the other. At first it seems that all is forgiven, until Brooklyn discovers that one of the books may be a forgery. 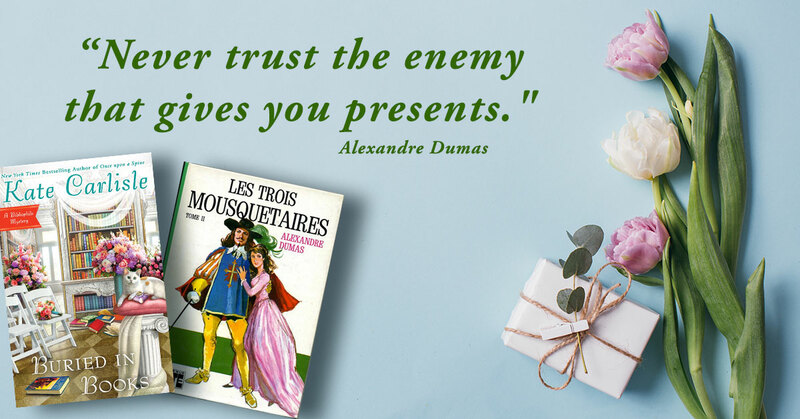 Dumas said, "Never trust the enemy that gives you presents"—but now Brooklyn doesn't even know if she can trust her friends. 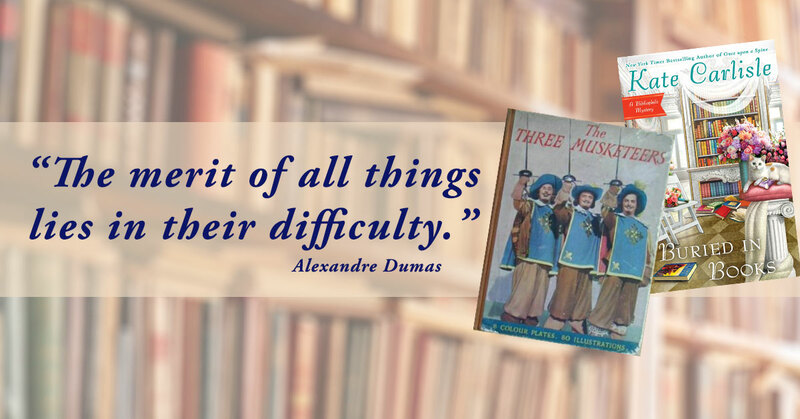 It's always delightful to find ways to incorporate the themes of the rare books into the contemporary murder mystery, but especially so with Buried in Books because The Three Musketeers is such a zip-bang story, filled with thrilling action and laugh-out-loud humor. During the plotting process, I often found myself walking around in a daze, my mind a swirl of ideas. 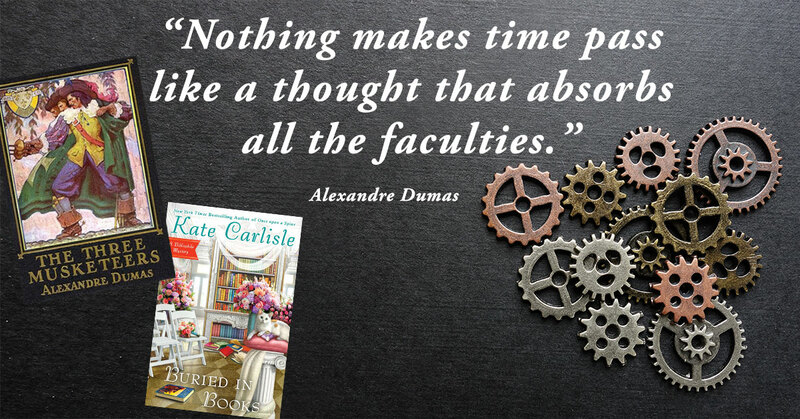 Without giving away too much about Buried in Books, here's a glimpse into how I reflected the characters from the historic novel in this Bibliophile Mystery. Brooklyn is Athos, the most level-headed of the Musketeers. She's the peacemaker, the intellectual of the group. Heather is Aramis, the quietest of the three, still morose years after being torn away from the love of her life. Sara is Porthos, full of her own importance and unsympathetic toward Heather's feelings. Like Porthos, Sara is a fashion plate. In fact, fashion plays a bit of a role in the murder. I won't say more than that, but you'll understand when you read the book. Sadly, one of these friends will die, and Brooklyn will have to determine whether the other friend committed the deed. While entertaining librarians from around the country and getting ready to marry the love of her life. Dumas claimed that difficult tasks have more merit. Do you agree or disagree? Why? Matrimony and murder collide as San Francisco book-restoration expert Brooklyn Wainwright walks down the aisle. . . Brooklyn has it all covered. She's triple-checked her wedding to-do list, and everything is on track for the upcoming ceremony with the love of her life, security expert Derek Stone. It’s over ten years ago now since I had the accident which changed my life. My mobility lost, the future I thought I’d have cruelly snatched away. Chronic pain whispered in my ear that it would never go. That I would never truly feel happy again. Unable to work I lost my business, my house. My mental health plummeted. I couldn’t see a way forward. Eventually, after throwing myself the longest pity party in history, I knew I had to make a change, if not for me, then for my three children. 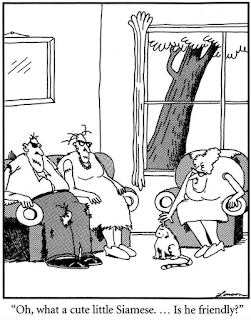 It was then I discovered Mindfulness. At first it seemed impossible to stay in the present moment. The past dragging me back with its cold fingers to the time when I was healthy, mocking – look at what you lost. The future beckoning me – no longer sparkling and enticing, but dark and terrifying. But slowly I learned to use my senses as an anchor. Each time I became aware I had drifted into negative thoughts asking myself what can I see right now? What can I smell? Taste? Touch? Hear? These skills led me to the safe haven of the here and now where I am okay. I am safe. I am loved. Later, it was these skills, the way I learned to really connect with my environment, that led me to writing scenes that have recently been described in a newspaper as: Jensen’s beautifully descriptive prose has a magnetic, mesmerizing power, drawing the reader in, inspiring intrigue, curiosity and sporadic, unexpected adrenaline rushes. Our senses are warrior powerful. 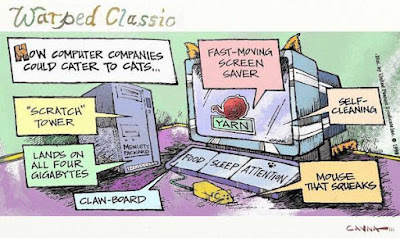 Not only connecting us to the present moment but also able to transport us back to the past at lightning speed. Each time I smell cinnamon I spiral back to balancing on a stool in my Nana’s kitchen, stirring the Christmas cake, making a wish. The Sister begins with Grace digging up a memory box that she and her best friend, Charlie, had buried as teenagers. When she sees the magazine cuttings of pop stars she’d loved covering the box she is sixteen once more. Smelling the Chanel No. 5 Charlie stole from her mum. Tasting the sweet, fizzing cider they’d drink in secret in a bid to feel grown up. 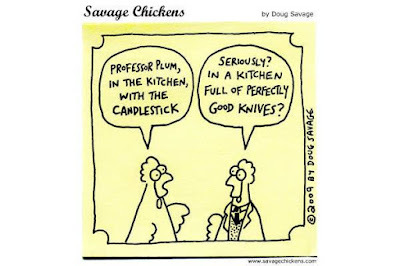 Evoking sense really brings prose to life. Writing this book gave me a purpose. Words have the power to heal, to lift. They illuminated my world which for a time had become very bleak. Today, mindfulness doesn’t only help me with writing. It helps me realize when I need a break. I am kinder to my body. To myself. 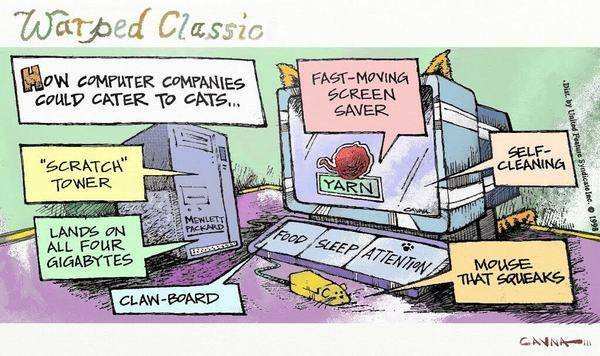 It also gives me the tools to switch off at the end of the day. As an author my head is often full of plot twists and red herrings but when I spend time with my family I want to be with them mentally as well as physically with a head full of them, and only them. Through mindfulness I’ve recovered from clinical depression, learned how to write, and also how to switch off. Using my senses I’ve become present. Aware. Grateful the world is such a beautiful place. I just lost sight of that for a while. I may not have freedom in my body but I have freedom in my mind and that’s the greatest freedom of all. 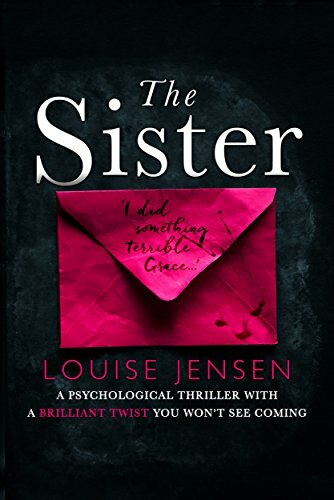 Louise Jensen is the Global No.1 Bestselling author of psychological thrillers The Sister, The Gift, The Surrogate & The Date. Louise has sold approaching a million books and her novels have been sold for translation to nineteen territories, as well as being featured on the USA Today and Wall Street Journal Bestseller’s List. 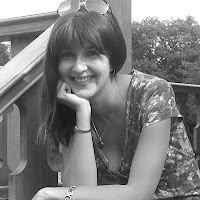 Louise was nominated for the Goodreads Debut Author of 2016 Award. Theme: Mystery Most Edible: "Mystery Most Edible" means that the story must have a significant gastronomic or culinary aspect. To submit your story, go here. 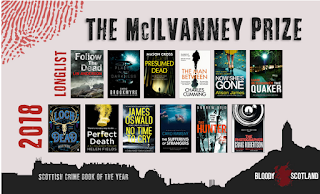 I love our Partners in Crime feature here on Mystery Fanfare. Today I welcome Ashley Dyer. Ashley Dyer is the penname of Dagger-winning crime novelist, Margaret Murphy, working in consultation with forensics expert, Helen Pepper. Their debut novel, Splinter in the Blood, sold in multiple competitive bids across Europe and the US. It’s out now in the US, published by William Morrow. Collaborating in (fictional) murder is fun! Helen and I had known each other for many years on the crime conference circuit. She’d been advising Ann Cleeves on the Vera and Shetland series from the outset, and Ann and I are friends and fellow Squaddies (members of Murder Squad, a group of crime writers based in northern England). 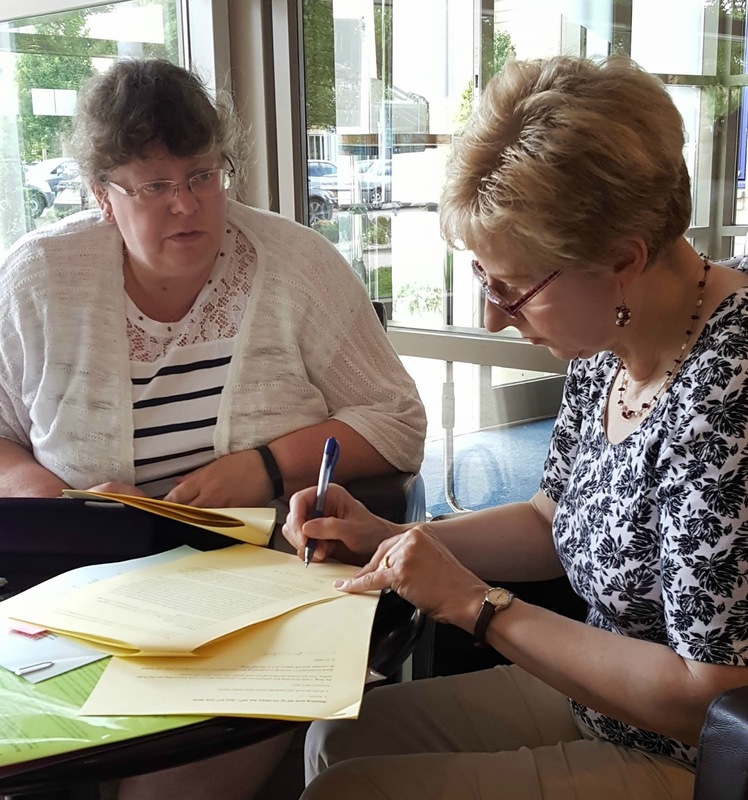 Ann loved working with Helen, so when I started looking for a forensic adviser, I naturally approached her. 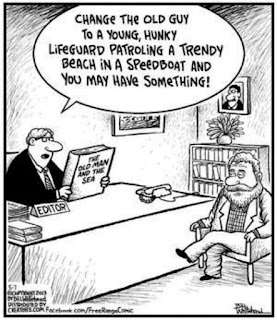 I will come up with a story idea and usually write a short, two-to-three-page synopsis. After that, we bat ideas back and forth, talking about story, forensic procedures that might come into play, police approaches to particularly categories of crime, and so on. I mull for a bit, then start on the full outline, which may be up to 40,000 words long. Helen: Usually I start talking to the TV scriptwriters at the ideas and storylines stage, checking that they are actually feasible. Once the script writing is properly underway I’ll receive queries that normally start with “what would happen if . . .” or “how can I make this happen?”. Later, I check draft scripts to for procedural inaccuracies. 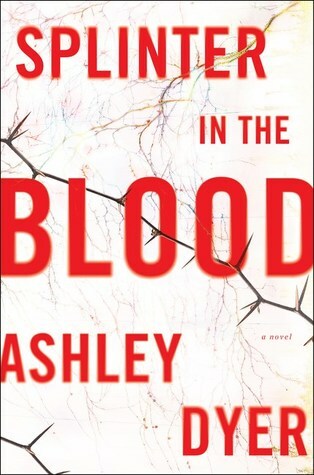 Working on the Ashley Dyer novels happens in much the same way – only more intensively. 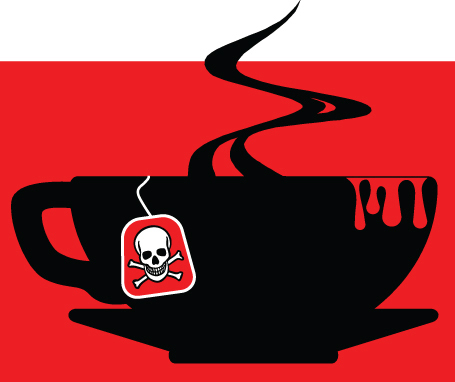 Margaret (Ashley) has an idea for a book and we’ll talk through the themes of the story and discuss the forensic elements we might exploit. She will write a detailed outline, which she sends to me for comment. Then she disappears into her office to write. We stay in touch by e-mail and phone about the work in progress, and she’ll send me batches of completed chapters for comment. This can be quite agonising, as I may have to wait several weeks for the next installment! I can’t watch any of them. One of my main bugbears is the clothes TV CSIs wear: Pencil skirts and stilettos are really not going to work well on a building site or in woodland. Does it matter that you get procedural elements right? We think it does – but then we would, wouldn’t we? However, Splinter In The Blood had some rave reviews in the run-up to the release, receiving a coveted ‘starred’ review from Publishers Weekly, and PW, Booklist and Kirkus reviews, as well as from bloggers and authors. Pretty much all of them commented on the procedural authenticity and power of the forensic elements. Margaret: My earliest jottings on Splinter In The Blood date back to April 2014. It began with an image: a woman with a gun standing over a shooting victim. I wrote, ‘She looks down at him and feels anger and contempt, but also regret.’ I was mystified. She must know the man – you don’t feel such a conflicting mix of emotions unless you know a person – but I had no clue how. I was even more baffled when she began systematically to destroy and then recreate evidence at the scene. It turns out that this is Detective Sergeant Ruth Lake, and the shooting victim is her boss, Chief Inspector Greg Carver. We learn that a serial killer dubbed the ‘Thorn Killer’ has abducted and murdered five victims using an ancient and excruciatingly painful method of ‘thorn-tapping’. 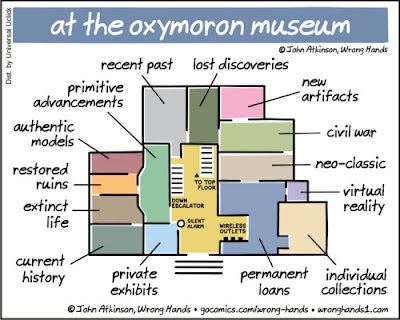 I’ve traced that macabre little detail back to an exhibition at The Wellcome Trust in London in 2010. I was in the city for a meeting, and had a few hours to spare before catching my train home, so I popped in. ‘Skin’ told the story of ritual skin-marking (including tattoos) in pictures, etchings, and even samples of human skin. I was both repulsed and compelled; it haunted me, and I suppose it was inevitable that tattoos would eventually find their way into a story. After the shooting, Carver wakes from a coma with a form of synaesthesia. Commonly, a person with the condition might associate a particular word with a colour. Say “envelope”, and they might see yellow, for instance. But numbers, days of the week, sounds and even tastes can trigger colours for a synaesthete. David Hockney, Vladimir Nabukov and Billy Joel, are (or were) synaesthetic. Researching the phenomenon, I found that a few brain trauma survivors do see auras, so I felt okay about having Carver read body language and mood as colour and light. The notion was partly inspired by my own experience: in my early-to-mid thirties, I’d suffered several TIAs – mini-strokes – as a result of a flare of Lupus, after which I experienced, among other things, phantom aromas and distortions of visual perception, one of which is termed the ‘Alice in Wonderland effect’, after Alice’s strange growing and shrinking bouts. Pros: I have privileged access to up-to-the-minute advances in forensics and policing, plus a reduced risk of making a complete fool of myself! Helen has attending many thousands of crime scenes, so she knows how they are dealt with, and how people behave, too – so her knowledge also informs character and situation, as well as procedural details. Helen will always go the extra mile to find ingenious solutions to procedural problems, and a big bonus is we’ve had lots of laughs working on the Carver & Lake series. Touring is a lot more fun when you have someone to chat and relax with after all the buzz of a gig. 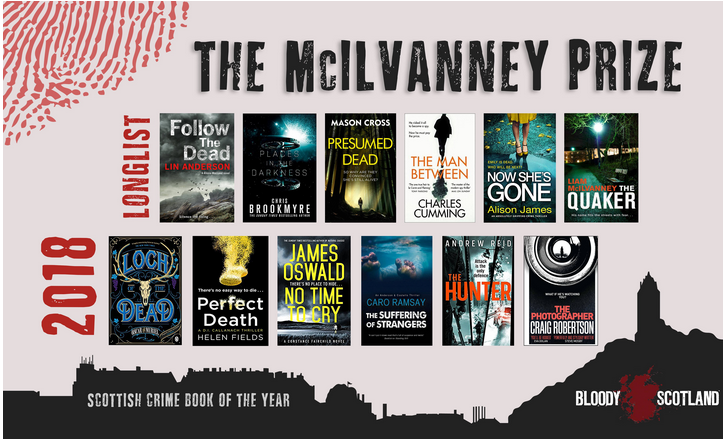 2018 McIlvanney Prize Shortlist: Scottish Crime Book of the Year. 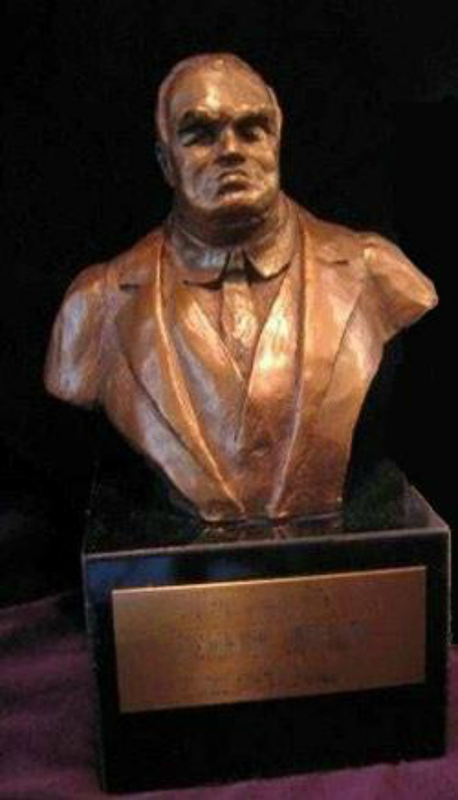 The winner will be announced on September 21 at the opening gala at the Church of the Holy Rude in Stirling at Bloody Scotland. Jake Lassiter, the linebacker-turned-lawyer, first appeared in Paul Levine’s To Speak for the Dead in 1990. Nearly three decades later, Lassiter is still banging heads in the courtroom in the just released Bum Deal. Why does he switch teams and decide to prosecute a murder case, and why is this the last book of the series? Does Lassiter have C.T.E., the fatal brain disease afflicting former football players? Author and Hero trade punches about what it all means. Paul: Sit down, Jake, and take a load off. Jake: You busting my chops about my weight, noodle neck? Paul: What are you these days, two-fifty, two-fifty-five? Jake: You’re the one who writes the descriptions, scribbler. I remember in Mortal Sin, you said I looked like a young Harrison Ford. Paul: These days, it’s more like an old Ford pickup. I shouldn’t have fed you so many burgers, poured you so many beers. Jake: I’m as health conscious as the next guy, as long as the next guy is sitting on a bar stool. Paul: Maybe if you’d evolved into a modern man, you’d have a longer run. Jake: Sorry that you can’t find my mug on Instagram. And that I don’t have a life coach, an aroma therapist, or a manicurist. And I sure as hell don’t do Pilates. Paul: Forget all that. Let’s talk about Bum Deal. Jake: I’ve seen the promos. “Jake Lassiter: The Final Chapter?” What’s with that malarkey? Paul: You’re outdated and obsolete. And the word “malarkey” went out with spats and knickers. Jake: Yeah, well you’re a nincompoop. What about the book? Paul: Bum Deal is the last of the series. That’s all. Jake: That’s all! I got no life outside those pages. Paul: Time to hang up the briefcase, just like you hung up your cleats. Jake: I didn’t retire. The Dolphins cut me, and I went to night law school. Paul: Same deal here. You’ve lost a step in the courtroom. 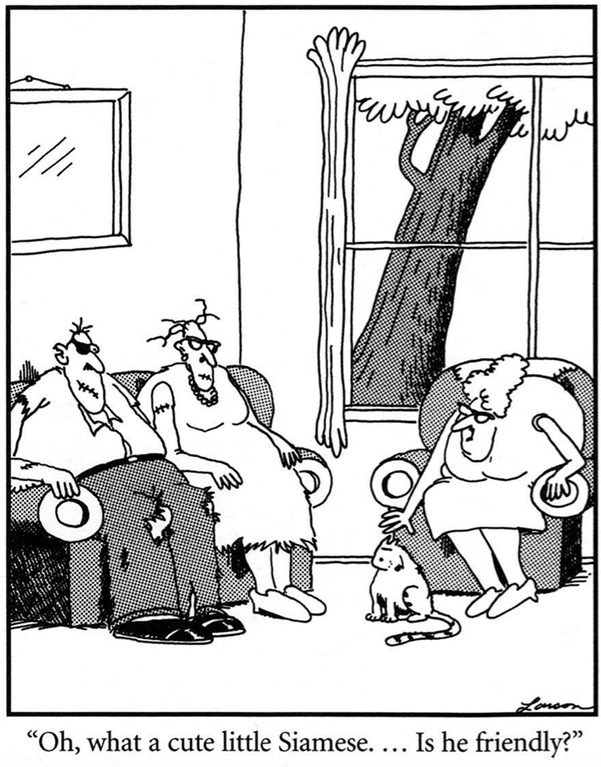 Face it, you’re getting along in years. Jake: Look who’s talking! When are you moving into the Old Writers’ Home? Paul: Deal with it, Jake. You’ve got brain damage from all those concussions playing football. You lose your train of thought. You’re more ornery than usual. Jake: Look who’s talking, or did I already say that? Paul: In Bum Deal, you switch sides and prosecute. Jake: The hell you say! I’d never do that. Paul: See, the ink is barely dry, and you’ve already forgotten. You’re appointed to prosecute a surgeon accused of killing his wife. Only one problem, or maybe three. No witness, no evidence, and no body. Jake: That is a bum deal! You’re setting me up to lose. Jake: That’s your wordsmithery. I just say the lines you feed me. Paul: Oh, one more thing. Your pals Steve Solomon and Victoria Lord defend the case. 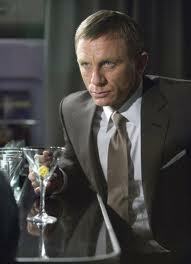 Paul: See what I mean about your thought processes. Jake: I’m just messing with you, word boy. But, please not Solomon and Lord. I taught those two kids all my tricks. Paul: Sorry, Jake. You’ll just have to dig deep and try something new. How about sticking to the rules, standing by the facts, and living with the outcome? Jake: Why do writers always say things in series of three? Paul: Probably because it’s pleasing to the ear, easy on the brain, and part of our hard-wiring. Jake: Hilarious, pencil pusher. Say, why would I want to prosecute, anyway? My heart is with the little guy, not the behemoth of the state. Paul: You’re burned out. Too many guilty clients over too many years. Jake: There’s truth in that. I lose a lot. Or plead my guy guilty. 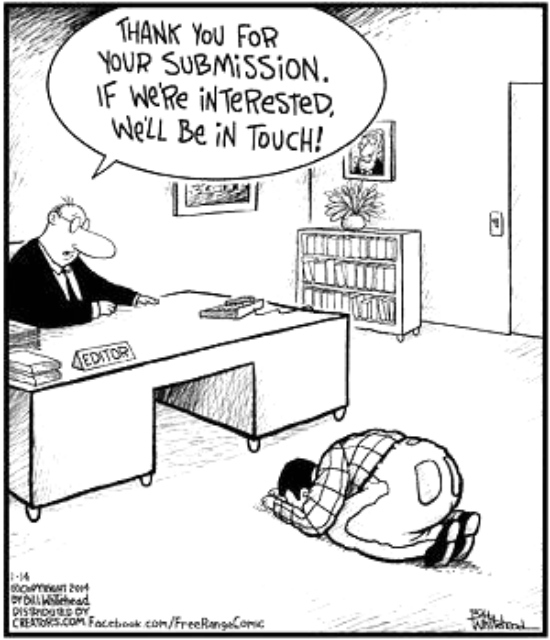 It’s a dirty little secret, but that’s the deal with most criminal defense lawyers. If anyone knew our real winning percentage, they’d jump bail and flee to Argentina. Paul: You’ve said that before, Jake. In Bum Luck. Remember? Jake: Not my fault you’ve got so little imagination that I repeat myself, carbon copy boy. Bum Luck. Bum Rap. Bum Deal. What’s the next one, Bum Book? Paul: You forget already? No next book. This is it. The end. The final chapter. Finis. No más. Jake: Jeez, you’re depressing me. Paul: Maybe this will cheer you up. Dr. Melissa Gold, an esteemed neuropathologist, takes an interest in you, during and after office hours. The two of you really connect. Jake: So just as I’m losing my marbles, you’re giving me a lady that lasts? Is that fair? Jake: I hope you get carpal tunnel in both arms, smart guy. You got any other happy news? 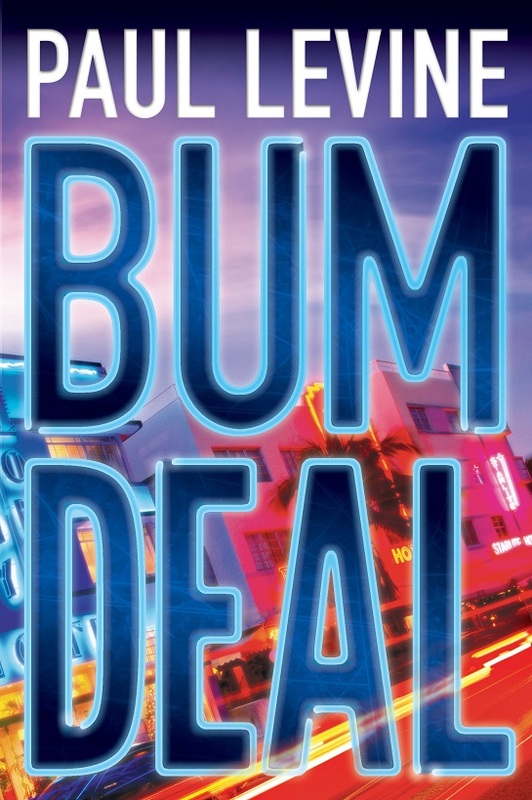 Paul: Bum Deal is available in ebook, trade paperback, and audio. What else do you need to know? Jake: Just tell me, this, you grim storytelling reaper. Is the last scene in the book my funeral? Paul: Would I do that to you, Jake? Really. Would I? The Wolfe Pack announced the Nero Award Finalists for 2018. When I talk to people about film noir they generally tend to bring up L.A. and New York as the best known locations for noir movies. San Francisco seems to slip under the radar. 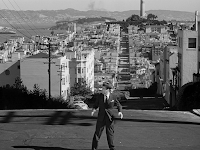 So I wanted to talk about film noirs set in and around the City by the Bay. Some of my favorite noir films are set there: Born to Kill, D.O.A., Lady from Shanghai, Out of the Past. And neo noirs like Pacific Heights. This is not an analysis of San Francisco noirs, just a few personal comments. Nor is it a complete list. 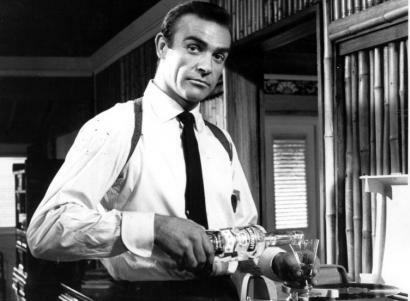 Born to Kill – One of my favorite noirs, but you’ll want to shower after you hang with this crew. Lawrence Tierney’s Sam Wild is an amoral psychopath, equaled only by Claire Trevor’s Helen. Elisha Cook, Jr. is terrific as always. This movie has one of my favorite lines of any movie: Delivery Boy: “My, that coffee smells good. Ain't it funny how coffee never tastes as good as it smells.” Arnett (Walter Slezak) responds: “As you grow older, you'll discover that life is very much like coffee: the aroma is always better than the actuality. May that be your thought for the day.” Locations include the Sutro Mansion and the Ferry Building. Dark Passage – I had seen this movie 2-3 times and really liked it. 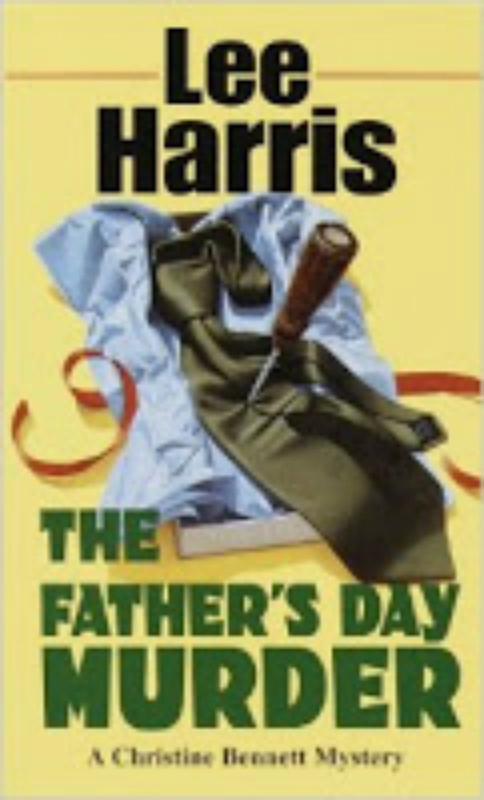 I knew it was based on a novel but I wasn’t sure about the writer: David Goodis. Eventually, I went and looked him up. And started buying his books, starting with this one. This was before the internet, so I had to get the books the old-fashioned way. I had to hunt them down and buy them used as they were out of print. I started reading and fell in love with Goodis, called the “poet of the losers” by Geoffrey O’Brien. 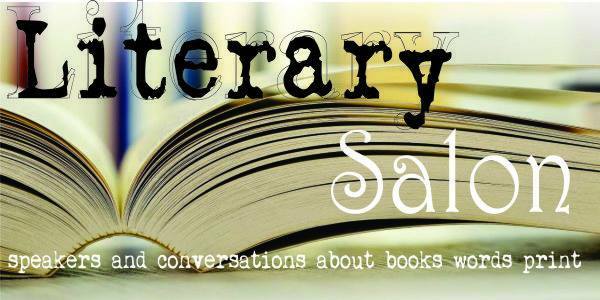 My fave book is Down There (aka Shoot the Piano Player after the movie by Francois Truffaut. 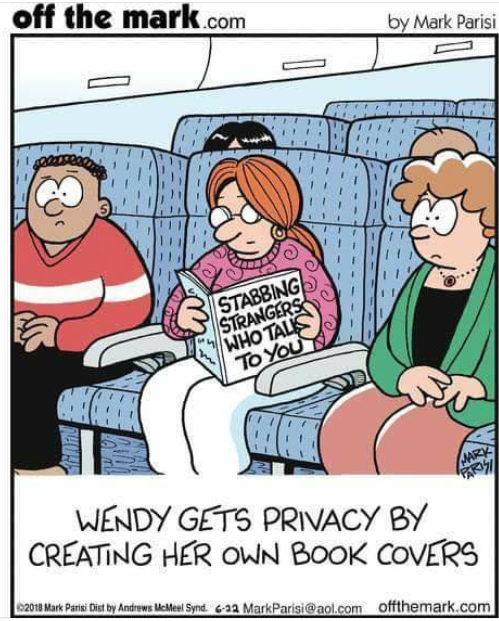 Personally, I like the book much better). 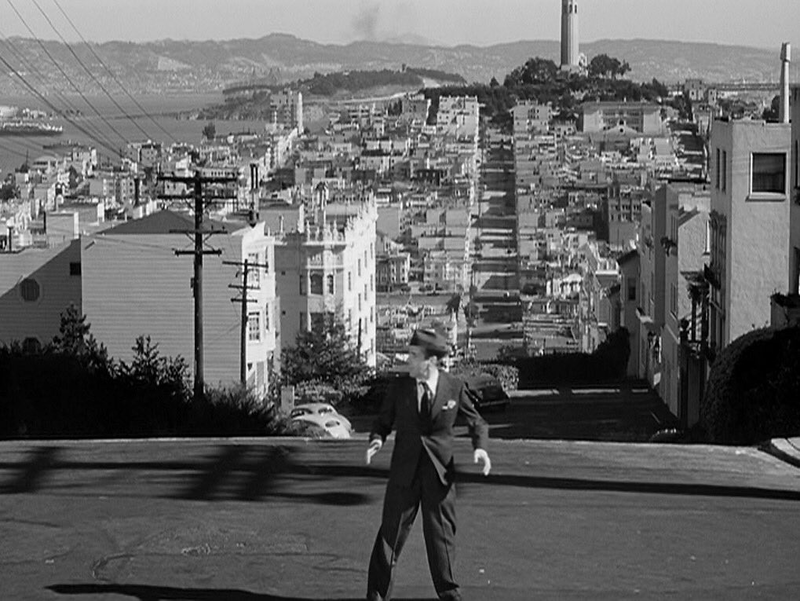 Dark Passage uses several terrific San Francisco locations. The most recognizable is Lauren Bacall’s apartment: The Malloch Apartment Building at 1360 Montgomery Street. Still there and still looking terrific. I love this place – I want to live there! Also the Filbert Steps, Filbert Street, The Tamalpais Building, Golden Gate Bridge, San Quentin (San Francisco adjacent). D.O.A. – The ultimate “high concept” movie. A man finds out he’s been “murdered” (poisoned) and before the poison kills him tries to find who the killer is. I’ll watch this any time it comes on TV and if it doesn’t I’ll stick in a DVD. I like to have a fix at least once a year. Locations include, Justin Herman Plaza, the current site of The Fisherman bar/club, where Edmond O’Brien gets poisoned. The St. Francis Hotel, now the Westin St. Francis. The Mark Hopkins. Powell and California streets, the Southern Pacific Memorial Hospital, the Embarcadero. Various background shots. And as a bonus the amazing Bradbury Building in Los Angeles (semi San Francisco adjacent). 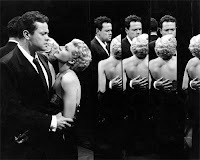 Lady from Shanghai – A good noir by (and with) Orson Wells and Rita Hayworth that travels the world with a terrific climax in a funhouse hall of mirrors at Playland at the Beach in San Francisco. Other locations include the Mandarin Theatre, Golden Gate Park, Chinatown, the Steinhart Aquarium, Sausalito. I liked the climax scene of this so much I adapted it for my early website logo. The Lineup – Two stone-cold killers smuggle dope into the country via unsuspecting travelers. A good movie. I like it, but it’s not one of my faves. That said, it has a laundry list of terrific San Francisco locations. The two most interesting to me are the Sutro Baths and the Cliff House, maybe because they’re the least familiar to me. Sutro burned down, but the Cliff House is still there. Other locations include the Embarcadero, Steinhart Aquarium, Golden Gate Bridge and the Oakland Bay Bridge, the Legion of Honor Museum, the Mark Hopkins Hotel and more. So if you want a tour of 1958 San Francisco, this is your ticket. The Maltese Falcon – A classic. What can you say. But the problem with many older movies is that they’re mostly studio bound. “Set” in SF with some background location shots at the Golden Gate Bridge, Bush Street, and the Ferry Building. Out of the Past – One of my top 3 film noirs (with Double Indemnity and Postman Always Rings Twice, the Garfield-Turner version). Set in northern California, a rural town, Lake Tahoe and San Francisco. Again, mostly studio bound for the San Francisco city scenes. Mostly background shots for the locations. They did, however, shoot on location for some of the more rustic shots. This Gun for Hire? – Based on a novel by Graham Greene. The first of 7 teamings with Alan Ladd and Veronica Lake, and one of the best, though my fave would be the Blue Dahlia (scripted by Raymond Chandler). Though partially set in San Francisco, the film itself is very studio bound and it doesn’t appear any actual scenes were shot on location. Vertigo – Tied for my fave Hitchcock movie (with the Lady Vanishes, though Vertigo is the much better film). Set in San Francisco and along the coast. This flick is a surrealistic daydream, or should I say nightmare. The movie is a guided tour of 1958 Baghdad by the Bay. From Fort Point at the Presidio, where Madeleine jumps into the bay, to Scottie’s apartment at 900 Lombard Street. The Essex Club on Montgomery, which doubled as Ernie’s Restaurant in the movie. The California Palace of the Legion of Honor, where Madeleine visits the portrait of Carlotta Valdes. Muir Woods, Mission Dolores, Mission San Juan Bautista and more, all visually stunning in the movie. Basic Instinct – Controversial Neo-Noir that makes use of plenty of San Francisco and adjacent locations. Another ramble through the streets of San Francisco that takes us from Catherine Tramell’s Pacific Heights mansion to Telegraph Hill. From Chinatown to Stinson Beach, Big Sur, the Hall of Justice, Steinhart Aquarium, the Embarcadero and North Beach, among many other sites. Bullitt – Steve McQueen’s out to get his man in this one. You don’t need me to tell you what it’s about. Famous for its celebrated chase scene through the streets of San Francisco. Bullitt roars through Russian Hill, the no longer existent Embarcadero Freeway, the Marina District and more. Other locations include Grace Cathedral Episcopal Church, the Thunderbird Hotel, now the Clarion. Bullitt’s apartment on Taylor Street. North Beach, San Francisco International Airport, SF General Hospital, SF PD HQ on Bryant. And the usual more. The Conversation – Francis Ford Coppola’s excursion into paranoia, makes use of many San Francisco locations, including Portrero Hill, where Harry Caul’s (Gene Hackman’s) workshop is. Alamo Square, the Financial District. Neiman Marcus in Union Square and Union Square. Cathedral Hill. And the usual mas. Dirty Harry – Love ’im or hate ’im, DH will make your day. Harry blazes his way through a ton of San Francisco locations. I’m surprised there’s anything left of the city in his wake. He tears through Kezar Stadium, Golden Gate Park. Marina Green in the Marina District. The Holiday Inn downtown. California Hall. City Hall. The Hall of Justice on Bryant Street. Mission Dolores makes another appearance, where Harry gets off the street car to use a phone booth. SF General Hospital. Noriega Street, where Scorpio commandeers the school bus. The Roaring 20’s Nightclub on Broadway, where Harry surveils Scorpio. Chinatown. Washington Square, North Beach. The Dante Building where Scorpio is looking for a victim and spotted by a helicopter. Final Analysis – This flick doesn’t get great ratings, but I like it a lot. Richard Gere, Kim Bassinger and Uma Thurman in a twisty story that reminds me of Hitchcock and might have been something he would have done if he was still around. Some interesting scenes, reminiscent of Hitchcock at Pigeon Point Light Station in Pescadero, California, which I’d call SF adjacent. Bix Restaurant at 56 Gold Street, SF. The Sir Francis Drake Hotel. The SF Courthouse. Golden Gate Bridge. City Hall. Pacific Heights – This is one of my guilty pleasure movies. 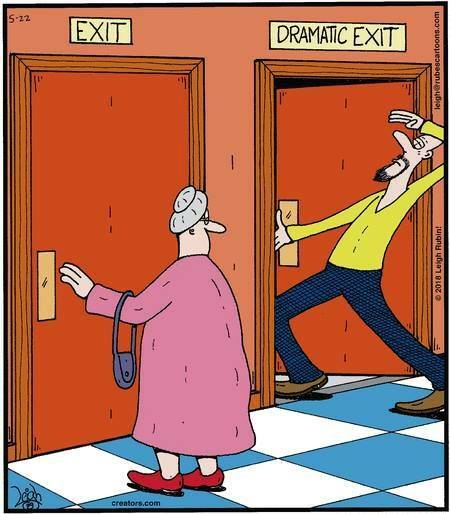 Not really – I really like this. It’s totally creepy. Because it’s not all that far-fetched. I don’t think the Zombie Apocalypse is going to come and get me. But a creep like Michael Keaton’s character, who takes over your life, that can happen. While supposedly located in Pacific Heights the Pacific Heights house is actually on Portrero Hill. Also Chinatown, the financial district. And SF in general. So there you have it. A mini noir tour of the streets of San Francisco. 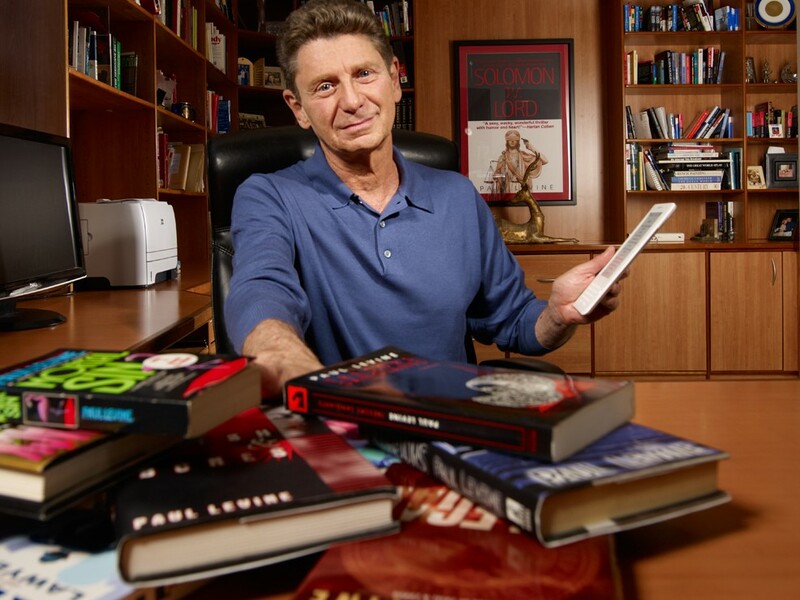 Paul D. Marks is the author of the Shamus Award-Winning mystery-thriller White Heat. Publishers Weekly calls White Heat a “taut crime yarn.” Broken Windows, the sequel, is being released on 9/10/18. His story Ghosts of Bunker Hill was voted #1 in the 2016 Ellery Queen Readers Poll. Bunker Hill Blues came in #6 in the 2017 Readers Poll. Howling at the Moon (EQMM 11/14) was short-listed for both the 2015 Anthony and Macavity Awards. Midwest Review calls his novella Vortex “… a nonstop staccato action noir.” The anthology Coast to Coast: Private Eyes from Sea to Shining Sea, co-edited by Marks, is nominated for an Anthony Award. And his story from it, Windward, has been selected for the 2018 Best American Mystery Stories (fall 2018), edited by Louise Penny & Otto Penzler, and is also nominated for a Shamus Award. French crime writer Fred Vargas, the pen name of Frederique Audoin-Rouzeau, has won Spain's prestigious Asturias Prize for Literature. The president of the Royal Spanish Academy, Dario Villanueva, read the jury's verdict in which he praises the quality of Vargas' writing and the originality of her narrative work. 'He has an ability to combine intrigue, action and reflection with a rhythm that recalls the musicality characteristic of good prose in French,' Villanueva said. The verdict also highlighted the mysterious and complex ecosystem implicit in its plots, the irony to describe her characters, the deep cultural knowledge and the overflowing imagination that opens unpublished literary horizons to the reader. 'Vargas added brilliantly original pieces, atmospheres and spaces to black novel, which leaves us a work of universal projection', highlighted the specialists in the official declaration of the award, fifth of the eight international awards convened annually by the foundation. Frederique Audoin-Rouzeau, 60, is a French author of crime novels that gave great importance in her prose to legends, historical events, humor and poetry. Also known for her archaeological work in the rescue of medieval pieces, Audoin-Rouzeau chose the pseudonym Fred Vargas like her twin sister Jo, in homage to Maria Vargas, Ava Gardner's main character in The Barefoot Contessa. Her work includes The Games of Love and Death, 1986, and Those who are about to die greet you, 1994; and the most remembered character is Jean-Baptiste Adamsberg, a police superintendent without a real research method. The award foundation said that Vargas, who is also a distinguished archaeologist, perceives society as "a mysterious and complex ecosystem" and her detective stories possess original plots and irony in their description of characters, as well as abundant imagination. Vargas has won three International Dagger Awards from the Crime Writers Association. Fred Vargas was born in Paris in 1957. 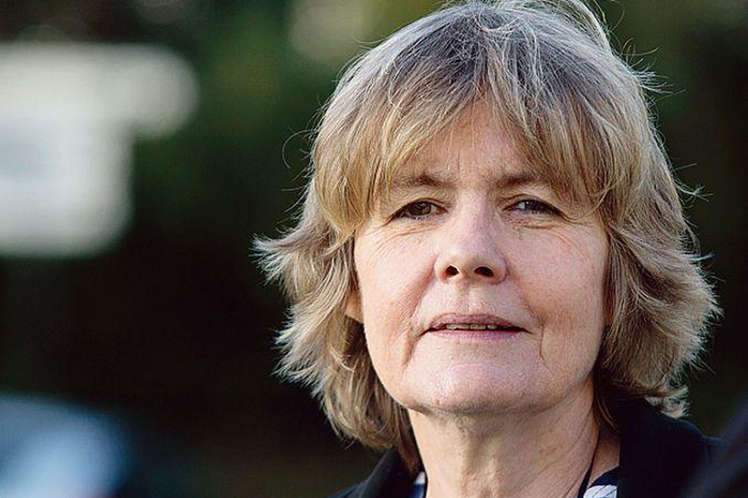 As well as being a best-selling author in France, she is an historian and archaeologist. She worked at the French National Centre for Scientific Research (CNRS), which she joined in 1988. She later joined the Institut Pasteur, as a eukaryotic archaeologist. She mostly writes police thrillers (policiers) that take place in Paris and feature the adventures of Chief Inspector Adamsberg and his team. Her interest in the Middle Ages is manifest in many of her novels, especially through the person of Marc Vandoosler, a young specialist in the period. 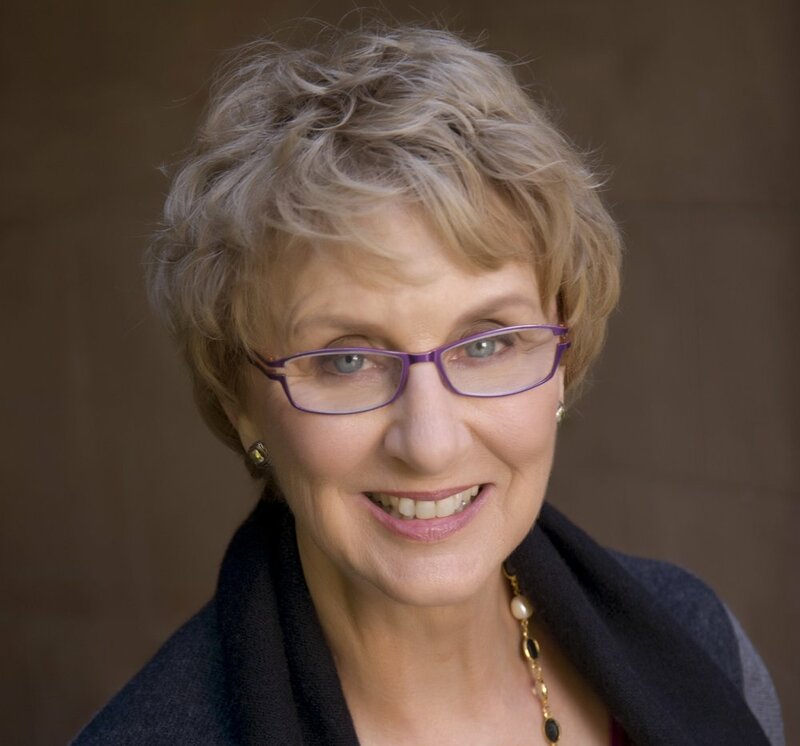 Join Mystery Readers NorCal for an evening Literary Salon in Berkeley (CA) with award-winning mystery authors James W. Ziskin & Terry Shames. James Ziskin is the author of the Anthony and Macavity Award-winning Ellie Stone Mysteries. 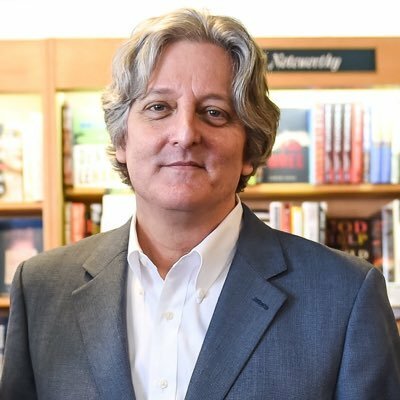 His books have also been finalists for the Edgar, Barry, and Lefty awards. A linguist by training, he studied Romance Languages and Literature at the University of Pennsylvania. After completing his graduate degree, he worked in New York as a photo-news producer and writer, and then as Director of NYU’s Casa Italiana. He spent fifteen years in the Hollywood post production industry, running large international operations in the subtitling/localization and visual effects fields. His international experience includes two years working and studying in France, extensive time in Italy, and more than three years in India. He speaks Italian and French. Terry Shames writes the Samuel Craddock mysteries set in Jarrett Creek, Texas, a fictional version of her grandparents' Texas town that sparked her early imagination. 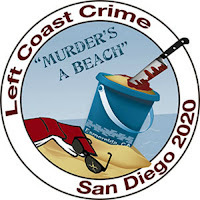 Her first book, A Killing at Cotton Hill, won the Macavity Award and was a finalist for Left Coast Crime's Best Mystery and Strand Magazine's Critic's Award for Best First Mystery. The Last Death of Jack Harbin was named one of the top ten mysteries of 2014 by Library Journal and top five of 2014 by MysteryPeople. There are seven books in the series, all of which have been nominated for awards. Her latest mystery is A Reckoning in the Back Country. She lives in Berkeley, CA, with her husband and two rowdy terriers.